A mother brings her teenage son to Sarajevo, where his father died in the Bosnian conflict years ago. A countdown, 10, 9, 8, 7... until 0, like in hypnosis, through which Ana proves that she does not live alone. Dani: What's wrong? Are you sick? Magda: I've got breast cancer. This film really touched me. Forgive me for attempting persuasion via a personal, anecdotal connection. So often, however, I believe that those types of connections explain precisely how art is able to establish leverage and truly move us as viewers or consumers. This film offers a beautiful interpretation of cancer through the eye of a strong, modern woman–interspersed with a kind of very real, magical realism. It was exquisite. Magda (Cruz) reminds me of my very own mother. For as long as I can remember, my mother has told me that one day when she was 28 years old, she saw a vision of a little girl with long brown hair walking away from her in her kitchen. Days later, she found out she was pregnant with me. My mother has a beautiful spirituality that is unique and special. She understood the vision of the girl–a figment her mind, her hope–as a source comfort that she carried with her. Throughout my childhood, she called me, "my little comfort." When I was 10 and my mother 38, she was diagnosed with late-stage breast cancer. She and my father decided to tell me and my older sisters right away. I remember where we stood in the kitchen when they told us. It's frozen like a photograph in my mind. I remember the blood on the floral bandages from her surgeries. I remember the morning she began losing her hair, the smell of the chemotherapy on her arms and cheeks, and watching the needles enter her arms after our 3 1/2 hour drive each Saturday. I remember the way her returning, peppered hair felt on my hands. I remember when that little hair that returned fell out again. I remember her many hats, her first and only tattoos–dotted radiation targets, I remember the night she rocked me and told me that she was not contagious. What I don't remember, however, and perhaps never considered until this film is how she must have felt a loss of her femininity, perhaps her sexuality, her womanhood. How much harder it was to be not only a mother to three daughters–but also a wife and a woman. This film has been reviewed negatively saying that it is melodramatic, unrealistic, and lacks depth. My opinion is so much different. I think it is so interesting that people reacted that way, because to me, I feel that those critiques display an inability to identify real, female depth. The depth of this film can be found in the seemingly unrealistic joy, hope, and selflessness with which Magda repeatedly greets fear in her life. In how she relentlessly chooses to give love, understanding, and forgiveness. The realness of this film can be found in the true story of a woman like my mother. 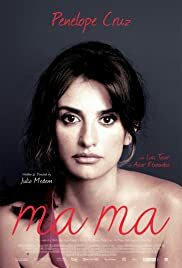 Just as this film helped me realize that my own mother must have struggled in an additional dimension I had never considered, I challenge viewers to watch this film and appreciate the magical strength it would actually take to face a challenge in the way that Magda does. Challenge the judgmental gaze that we, as viewers, so often feel entitled to employ–I think this is a similar judgmental gaze through which we, as a society, feel allows us to scrutinize women. If we view this film honestly, and give its magic a real interpretation instead of something created to "make us cry" or "be a tearjerker", this is when we will see its power. Magda envisions her happiness, she visualizes the goodness even when it is not physically there, and she sources joy from those around her. That is magical and it is real. Thank you for making this film. I cannot wait to tell my mom about it.